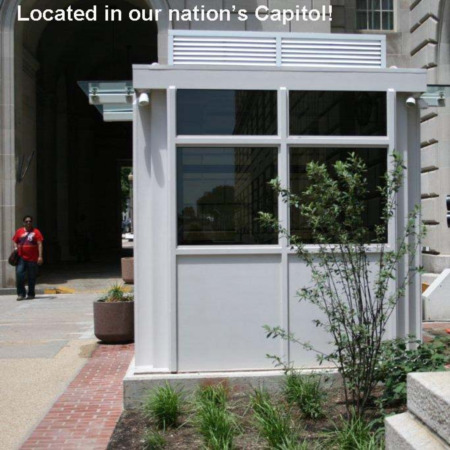 This eye-catching guard house from Little Buildings Inc is located in the Nation's capitol and is used by a government agency. It is a hardened access control point (ACP). 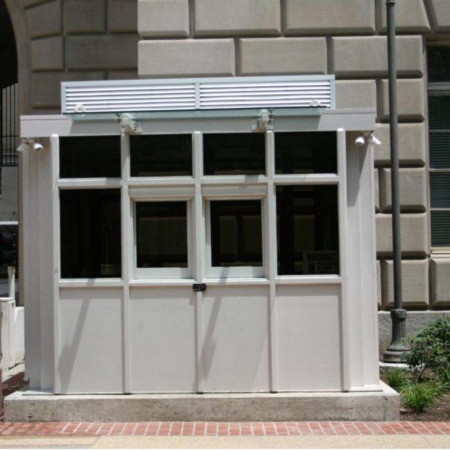 The customer hired an architect to design the look of the guardhouse to compliment the surrounding architecture. 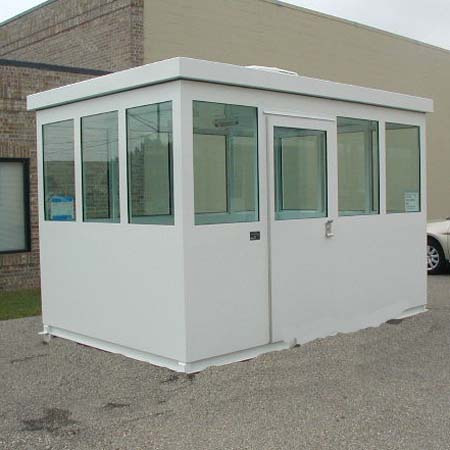 Little Buildings, Inc. was chosen as the guard house manufacturer who could handle the job! 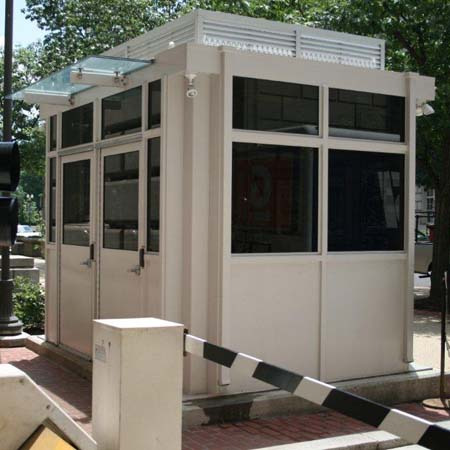 Bullet resistant to UL level IV (other levels available), this bullet resisting guard house little building does not look like the typical "hardened guard house" check point. 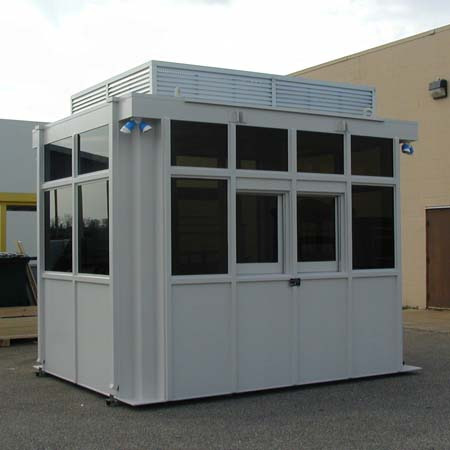 Featuring two separate offices with individual climate controls, options include tinted glass, LED exterior light fixtures, louvered roof facade to hide HVAC, glass awnings, mag-locks, and transaction windows. Other configurations available as we build from the ground up. 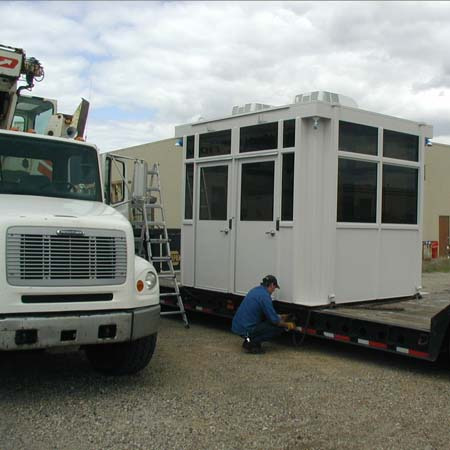 This guard house shows just some of the capabilities in designs available from Little Buildings, Inc. How can we help you? Give us a call toll-free to discuss your little building needs! 1-888-55-BOOTH. or just fill out the Request for Quote form below!